Master the art of finding your harmony part and knowing when to sing it! Have you always wanted to be able to sing harmony? Do you have a basic grasp of harmony but want to master the skill? Here’s your fundamental guide for singing harmony on a worship team—how to find your harmony part, when to sing it, and how to make it blend perfectly as a team of vocalists! In this introductory lesson, we’ll talk about the goals of this course and learn what harmony is; we’ll explore Psalm 133 and why harmony is important in our worship sets; and you’ll discover why harmony is entirely a learnable skill, even if it has always seemed too difficult and out of reach! In this lesson, we’ll learn the basic building block of harmony—intervals! When you understand the relationship between notes, you can train your ear to find any harmony… yes, ANY harmony! This lesson will teach you to recognize and sing the most common harmonic intervals used in worship songs, and also includes a downloadable ear training workout to engrain these intervals in your head! This lesson covers the basic building block of every song—chords! Understanding chords is crucial to learning harmony because the harmonies are embedded within the chord structure of every song. This lesson will teach you to recognize and sing the most common chords used in worship songs, and also includes a downloadable chords ear training workout. This lesson covers an essential skill to singing harmony—learning to visualize how the melody moves from note to note. The better your ear can visualize melodic movement, the better you will be at instinctively knowing how the harmony moves. Make sure to check out the accompanying notes to practice the “dot” exercise—especially useful for vocalists who do not read sheet music! 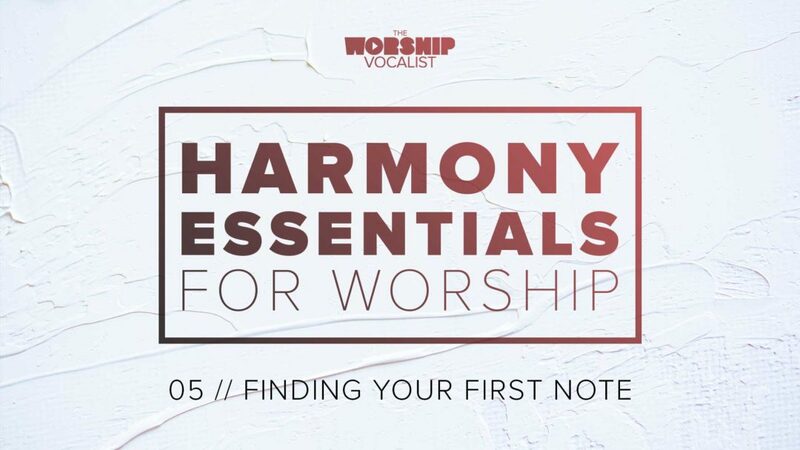 People always ask: “how do I find the first harmony note in a song?” In this lesson, using the basic building blocks of harmony—intervals and chords—we’ll learn where to look for the first harmony note, and how to get quicker at finding it in a song. In this lesson, we’ll build on our knowledge of intervals, chords, and melodic movement to start learning and singing full harmony parts. The ability to read sheet music is handy for a singer, but not a necessary skill—we’ll learn how to find and follow simple harmonies with no extra music training required! Continuing with harmonic movement, we learn about different types of harmony movement—parallel vs oblique harmony—and you’ll learn some tips to help simplify your harmony parts! In this lesson, we’ll combat one of the greatest frustrations singers have when they go to sing their harmony part… “I keep drifting back to the melody or a different harmony part!” You’ll learn ear training exercises and specific harmony parts so you can practice staying in your harmony lane, no matter what song or what’s going on around you! In this lesson, we’ll go beyond “how to sing harmony” and begin to talk about “when to sing harmony”. 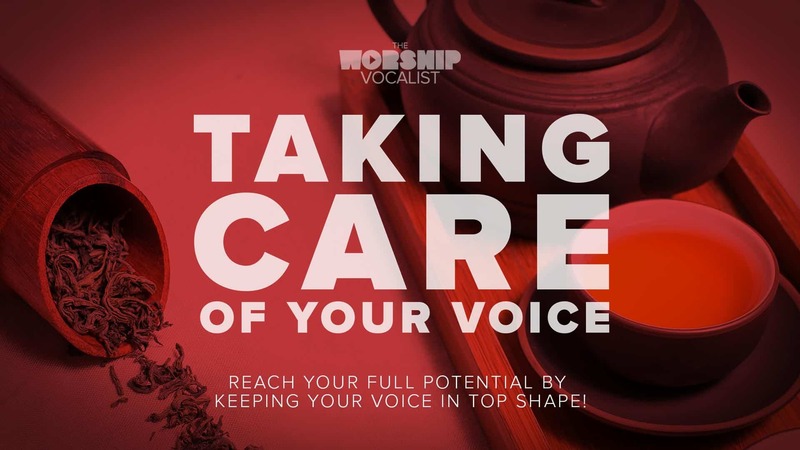 We’ll explore the importance of creating a dynamic journey in our worship sets, and how as background vocalists we can be an incredible help—or hindrance—to this goal. 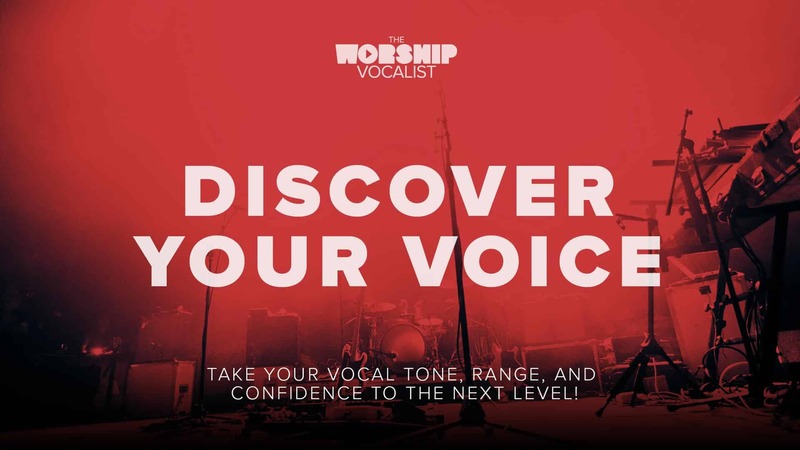 For background vocalists, this lesson will give you practical tips and strategies for understanding your role and bringing incredible value to your worship team; and for worship directors and worship leaders—how to communicate in the most effective way to your background vocalists! This lesson will continue the topic of “when to sing harmony” as we explore the concept of song mapping—creating a plan for what and when each vocalist on the team will sing… to achieve the greatest dynamic journey in your songs and worship sets! We’ll explore different options for song maps in contemporary worship songs, and you’ll learn super practical tips and guidelines for how to do this yourself with any song! This final lesson will bring it all together as we explore one of the most important things to master as a background vocalist—achieving a good vocal blend. We’ll talk about why blend is immensely important on a worship team, and you’ll learn practical strategies for how to blend your vocal tone, volume, vibrato, and phrasing.